The Flash is one of those heroes who’s been around for so long that multiple individuals have taken a turn at carrying the mantle. While it gives the character such a rich history, it also becomes a liability when trying to explain the hero to newbies. With so much different versions in the movies and TV series, several of the Flash’s characterizations sometimes gets combined to make it easier to explain. Hopefully, this post can help in explaining the differences between all the men who’ve donned the red suit. 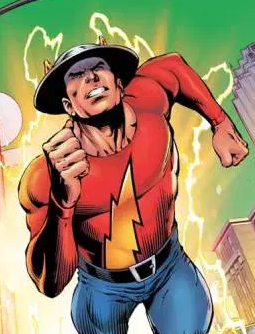 The first Flash in all of comic history was Jay Garrick, created during the Golden Age of Comics in the 1930s. His origin story has been revised several times, but the most accepted one is that he inhaled hard water vapors which gave him super human speed. His costume was a bright red shirt with the iconic lightning bolt logo in the middle. His helmet originally belonged to his father, who served in World War I. Jay added wings to the side as an homage to Mercury, the Roman god of speed. He continued being a super hero even in his advanced age, serving in the Justice Society of America. He also acts as a mentor to the young heroes, especially to Barry Allen. Although very fast, Jay actually doesn’t tap into the Speed Force, which makes him the slowest compared to the other Flashes that came after him. Jay is easily recognizable with his vintage helmet and the fact that he doesn’t wear a mask. Barry Allen is the most recognized Flash in pop culture. He holds the title of Silver Age Flash, the commonly known title for the period 1956 to circa 1970. He gained his unbelievable speed and reflexes in a lab accident when a thunderbolt struck a case full of chemicals and completely doused Barry in it. 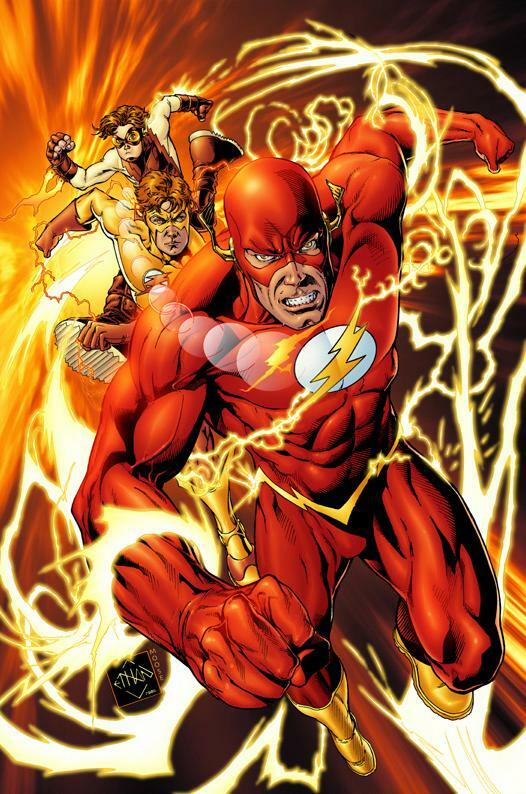 Gaining super speed and reflexes, Barry donned the trademark red costume and took the title of the Flash, which was inspired by Jay, his childhood comic book hero. Barry would go on to be a founding member of the Justice League and save the world many times over. During the Crisis on Infinite Earths event, he ran around the Anti-Monitor’s anti-matter cannon with such speed that he destroyed its outer casing and rendered the weapon useless. But because he ran so fast, he was absorbed into the Speed Force and was considered dead by everyone until his return 23 years later in the Final Crisis event. Barry is the Flash currently being portrayed by Grant Gustin in the TV series. When not in costume, he can easily be distinguished from the others by his penchant for wearing bowties. Wally West, the third Flash, is the nephew of Iris West, the wife of Barry Allen. Wally grew up idolizing the Flash and was thrilled when he found out that his aunt’s husband was indeed his hero. He gained his powers in the same freak accident that Barry had in the Central City police laboratory, eventually donning his own costume under the monicker Kid Flash. Wally became Barry’s sidekick in his fight against crime, even co-founding the young super hero group Teen Titans along with the teenage sidekicks. When Barry sacrificed himself during the crisis against the Anti-Monitor, Wally shed his Kid Flash costume and took over his mentor’s identity as the new Flash. He became Keystone City’s protector and also retained his membership on the Justice League. Speaking of the Justice League, Wally was the Flash in the Justice League animated series that ran for 5 seasons. After the New 52 reboot, they changed his appearance from a red-haired guy to a bi-racial look. Bart Allen is the grandson of Barry Allen who time-traveled from the future into the present time. He was suffering from a very accelerated metabolism that made him age fast physically. When it got to the point that his body grew to the age of twelve even though he was only two years old, Iris decided to send Bart back into the past where Wally, who by then was already the Flash, managed to help stabilize his metabolism and control his speed. 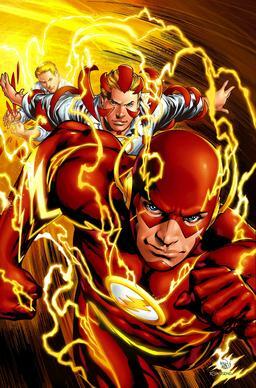 Taking on the name Impulse, Bart became Wally’s sidekick and even co-founded the group Young Justice along with the third Robin, Tim Drake, and Superboy. The three would later on join other teenage sidekicks in the latest iteration of the Teen Titans. In one of their missions, Bart was shot in the knee by Deathstroke, and he spent his recuperation inside the San Francisco Public Library reading all of the books. He emerged with more experience and confidence from that altercation and eventually assumed the title of Kid Flash. During the Infinite Crisis event, Wally West and his entire family disappeared into the Speed Force while trying, with the help of Jay Garrick and Bart, to imprison Superboy-Prime in it. 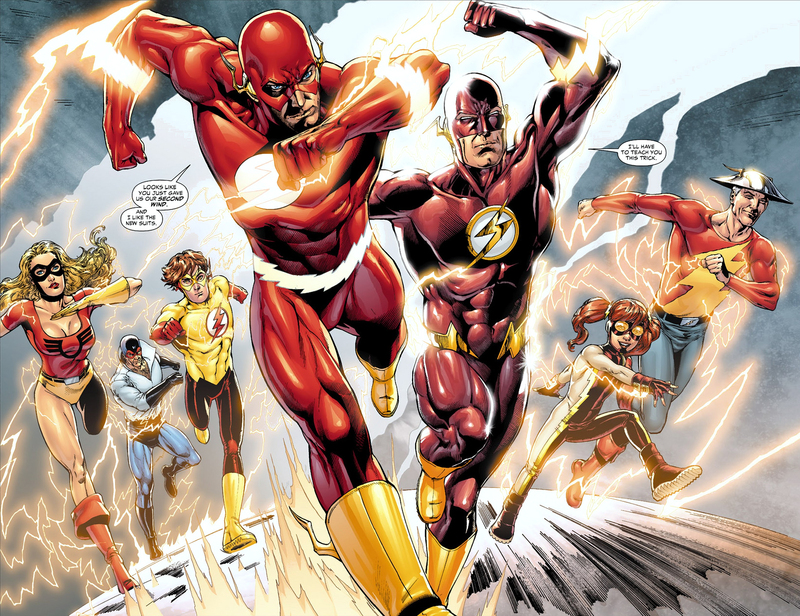 With Wally gone, Bart became the fourth Flash. It was a role he played to the best of his abilities until his eventual death when Inertia and the Rogues drained him of the Speed Force and killed him. Bart would later come back to life when Brainiac 5 resurrected him to get his help in battling Superboy-Prime. Due to his tenure as the Flash being short-lived, Bart is actually more known as Kid Flash and is featured in the second season of the Young Justice animated series.